On Sunday, February 18th from 12-2pm, join Left Coast Writers® Live on FCCFREE RADIO’s popular show, Lilycat on Stuff. Lilycat’s guest on Sunday will be Jay Humphrey. After graduating with a degree in English from Stanford, Jay Humphrey pursued a varied career in theater and television, law, writing and teaching. The Day You Love Me is his first collection of short stories. This book is fiction, but as Albert Camus noted, fiction is the lie through which we tell the truth. Jay lives with his wife in Northern California. Sensuous, subtle, and thought-provoking, The Day You Love Me explores the common beginnings of the universal love story—and some uncommon endings. It’s the perfect prelude to a fantastic Chinese New Year and the best Chinese New Year party for the whole family. Join us as Jackson Fahnestock introduces us to a story about strength of family and friendships, heartbreak, perseverance, and personal tragedy. Help us celebrate Chinese New Year 2018 and the incredible cornucopia of cultures that we enjoy as citizens of this country with bestselling author, Rosemary Gong. Let’s ring in the New Year with a nod to the diversity that makes the Left Coast magical. On Sunday, January 21st from 12-2pm, join Left Coast Writers® Live on FCCFREE RADIO’s popular show, Lilycat on Stuff. Lilycat’s guest on Sunday will be Matthew Felix. Matthew Felix’s Amazon.com best-selling collection of short stories, With Open Arms: Short Stories of Misadventures in Morocco, was born of his love of travel. The stories recount some of Matthew’s humorous and harrowing experiences on the road, and garnered him a comparison to Bill Bryson. Join us on Tuesday January 2nd at 7:00pm at Book Passage Corte Madera for the annual LCW Literary Salon New Year’s Celebration featuring Writer/Performer Matthew Felix. Please Note: Book Passage will be closed on Monday January 1st, 2018. Our Salon will be on Tuesday night! We’ll be in a party frame of mind, serving wine, great writing and writing information, and a peek at what’s up for 2018. 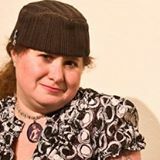 On Sunday, December 17th from 12-2pm, join Left Coast Writers® Live on FCCFREE RADIO’s popular show, Lilycat on Stuff. Lilycat’s guest on Sunday will be Barbara McVeigh. Join us on December 11th for an evening with Gail Strickland and Peter S. Beagle. In Oracle of the Song, determined to save her best friend Sophia, Thaleia—the young Oracle of Delphi—descends into the Underworld, a forbidden land from which none escape. But does Sophia want to be saved? If so, why does she trick Thaleia to drink from the River of Forgetfulness, so she no longer knows the reason she descended into Hades’ Realm? Thaleia prays for the gods’ help. Instead of their guidance, she encounters Hades’ rage and Athena’s jealous fury. Javier Zamora’s debut poetry collection, Unaccompanied, chronicles his harrowing migration from El Salvador to the United States following the Salvadoran Civil War. And while his poems tell the particular story of the U.S.-backed violence that ravaged Central America during the 1980s, their meditations on familial loss at the hands of state violence and forced migration couldn’t be more timely or crucial.